Start Where do Insects go when the Cold Arrives? “Now you see me, now you don’t,” insects seem to tell us throughout the year. During the more benign seasons, we share our spaces with legions of six-legged creatures that can sometimes drive us crazy. However, when the dark and cold months arrive, the vast majority mysteriously disappear, only to re-emerge as if by magic in the spring. But where do they hide during the winter? Do they just die? How do they manage to emerge from the ashes when the warm weather returns? The answer is not as simple as you might imagine, since there is no single common strategy for insects to survive the winter months: some try to escape the cold in some way, while others simply deal with it, letting themselves freeze and living to tell the tale. 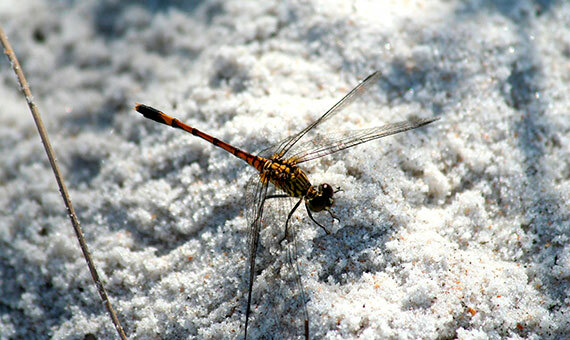 Brent Sinclair, entomologist at the Western University of Ontario (Canada) specialised in the winter biology of insects, tells OpenMind that of these two options, “the most important strategy is avoiding cold.” However, “freeze avoidance appears most common in the Northern Hemisphere, freeze tolerance in the Southern,” he adds. 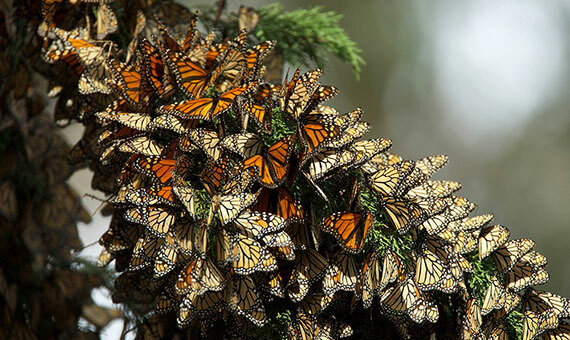 Among those fleeing the cold, a minority migrate to warmer regions, such as the monarch butterfly (Danaus plexippus), which at the end of summer fly in the thousands over distances as great as the one that separates Canada from Mexico. Other insects considered agricultural pests also join in on migration. In contrast, those insects that decide to stay and face the winter are more abundant. Bees huddle in the hive to escape from the weather and conserve heat. Ants move deep into the anthill and plug the entrance with plant remains. But all the insects that must face the winter rigors have a good arsenal of countermeasures, which rev up when the autumn days start to shorten. In fact, the cold helps other measures to activate. 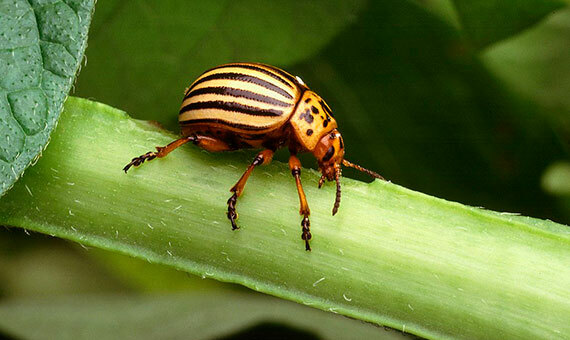 According to Sinclair, “the Colorado potato beetle enters diapause (irrespective of temperature) on a photoperiod cue, but only becomes cold tolerant after cold exposure.” This exposure to cold triggers a chemical revolution in the bodies of insects. In the late 1950s it was discovered that, during the winter, many species lose part of their water content and replace it with glycerol, a natural antifreeze that prevents the formation of destructive ice crystals at temperatures below zero. In addition to glycerol, insects are capable of producing other cold-protective compounds, or cryoprotectants. “All overwintering insects use cryoprotectants of some kind,” says Leather. Freeze-tolerant species—those that can freeze without dying—produce compounds such as ice-nucleating proteins, which control the formation of crystals so they don’t damage cellular structures. But the truth is that a common solution for many adult insects is simply to die, once they have ensured the survival of their species for next spring, leaving behind their descendants, whether in the form of eggs, larvae or pupae. These immature forms resist the winter with the help of their antifreeze and are sheltered in hollow trees, under leaves or rocks, or buried in the ground even under a layer of snow, which acts as an effective natural blanket. “Even where I am in Canada, insects only need to be 30 centimetres underground to never experience sub-zero temperatures, especially if there is a good layer of snow,” says Sinclair. 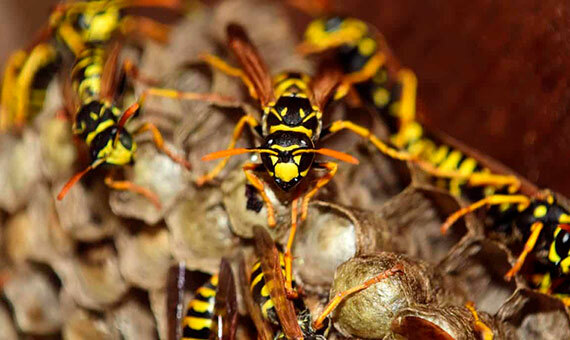 A striking case is that of the social wasps, which have integrated winter death into the complex life cycle of their colonies. At the end of the summer, these hymenopterans are the terror of outdoor meals, and this insidious behaviour at a specific time has an explanation: by then all the larvae have grown into workers, which the colony fed during the spring and summer by producing a sugary juice. Thus, a large number of worker wasps must now go out to search for their own sustenance, especially sugary foods, which they often find at our barbecues. Despite their efforts, almost all the wasps will die—not of cold, but of hunger; only the queen is assured of surviving the winter, protected under a snug coat. The following spring she will found a new colony thanks to a wonder of evolution: during the winter she has kept inside her body the sperm from the autumnal mating to fertilize the eggs that will become the new generation of workers. The secrets of wintering insects still amaze scientists. Recently, a group of chemists from the Universities of Utah and California discovered that the antifreeze proteins don’t interpose themselves in the ice by simulating its structure as was previously believed, but that they adhere to the ice in formation to prevent its growth. Moreover, the researchers point out that this system can inspire the design of new compounds useful in the freezing of food, the conservation of organs for transplantation or the de-icing of airplanes. So, next spring, when insects begin to annoy us once again, don’t forget that we still have a lot to learn from them.